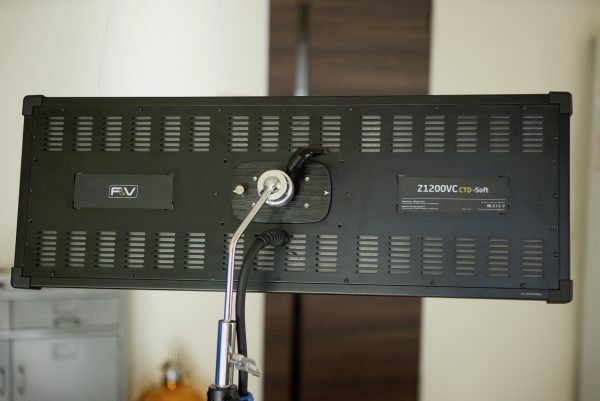 The new F&V EverTrue Vari-Color 3×1 LED Panel is the companies first foray into RGBW lighting. 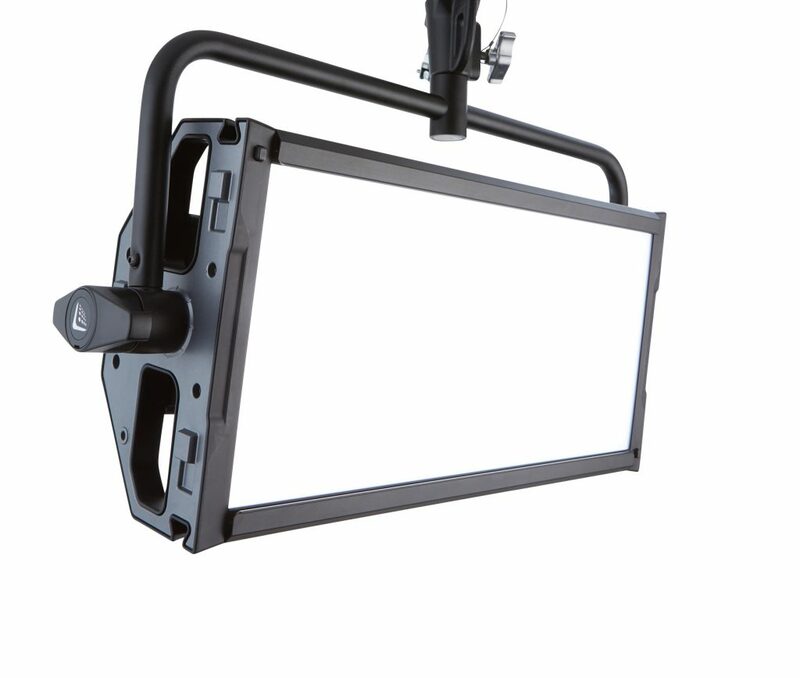 It is a 130° beam angle soft light source that features built-in filters, +/- G/M adjustment, special effects, all in a relatively lightweight and flexible fixture. F&V has forged a strong reputation as a company that makes affordable lighting solutions that are not only very color accurate, but that also produce a nice quality of light. I thought I’d take a closer look at their latest fixture, which is officially called the Z1200VS CTD-Soft. 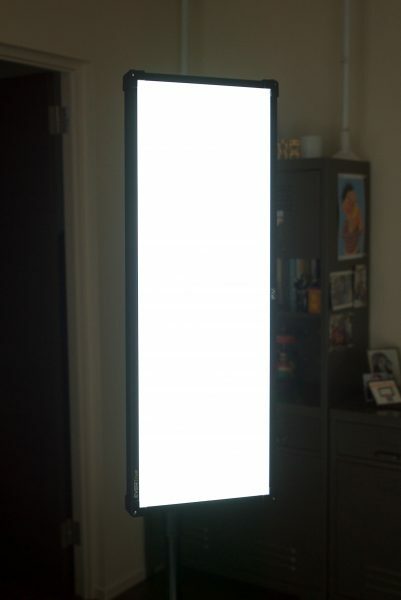 3×1 sized fixtures are not that common, but a light that is 3x wider (or taller, depending on how you mount it) provides you with a lot of flexibility and versatility. When manufacturers started making LED lights, a lot of them that came out were 1×1 sized panels, and then came the 2×1 sized fixtures. 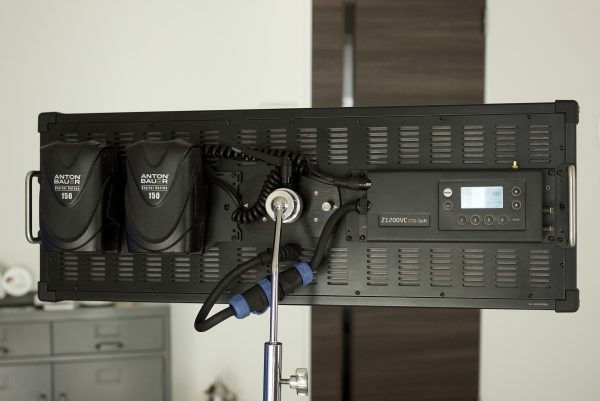 While this provided lights that were easy to transport and power, a lot of shooters who were used to using Kino Flo Diva-Lite style fixtures wanted larger, longer solutions. 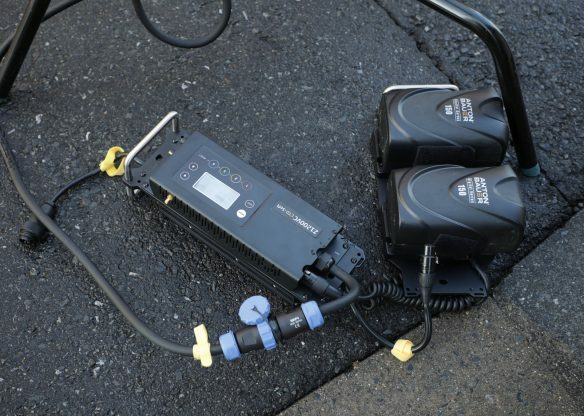 Companies such as ARRI, Litepanels, and Kino Flo responded by bringing out fixtures such as the SkyPanel S120-C, Gemini, and KinoFlo Celeb 450. The only problem is that most of these larger and longer LED solutions are all big, heavy, power hungry and hard to transport. F&V looked at all of these other fixtures and decided they wanted to build a large, soft light source that didn’t weigh 10kg and could be powered off batteries, and that’s how the EverTrue Vari-Color 3×1 was born. The EverTrue Vari-Color 3×1 is based on the companies Z1200S Soft 3×1 panel which was first shown at IBC 2017. F&V aren’t really trying to make a light that goes head-to-head against the Litepanels Gemini, KinoFlo Celeb 450, and ARRI SkyPanel S120-C. I think the EverTrue Vari-Color 3×1 is filling a gap in the market that currently exists. If you want a large 3×1 style or similar fixture that has all the bells and whistles it’s going to cost you a pretty penny. The EverTrue Vari-Color 3×1 provides a more affordable and lighter solution. The light could really be used by just about anyone for any purpose. While its physical size probably makes it more suitable for studio work, it’s certainly light enough that you could take it on location and even travel with it. That’s not something you could easily do with most other lights this size. F&V has always been about substance over style. Their lights have been designed with a minimal amount of fuss and they don’t stand out and scream “Look at me.” The EverTrue Vari-Color 3×1 is a modular system as the fixture can be used with the power supply/control unit attached or removed. Now, this is both a good and a bad thing. There are two schools of thought when it comes to large lighting fixtures. Do you incorporate the power supply/control unit into the fixture or do you make it a separate piece? Well F&V has given you the option to do both. You can either have the power supply/ control unit attached to the fixture or you can choose to leave it off and just place it on the floor or hang it off a light stand. The supplied cable that runs between the light fixture and the power supply/control unit is nice and long so there is no problem using the light when its up high on a light stand. I like that F&V has given you the option to choose how you want to use the light instead of dictating how it has to be used. It’s always nice to have options as not everyone will use a product in the same way. My only gripe with how this has been done is you need to physically screw the power supply/control unit onto the fixture. This means it’s not a simple or quick process to go from having it attached or removed from the light. I would have preferred to have seen some sort of quick release system so you didn’t need to pull out an Allen key everytime you needed to attach or remove the power supply/control unit. You also have to split the power supply/control unit into two pieces if you want to attach it to the fixture. This is yet another step that takes time. Having a modular design is nice but you do need to take into account that you need to attach everything to the light before you can use it, which does add a few more minutes to the setup time. One of the things I like about the Litepanels Gemini is you just pull it out and turn it on, there is nothing else you need to do. The flipside of being able to do this is that you end up with a heavy fixture which limits what type of light stand you can use and how you can mount it. 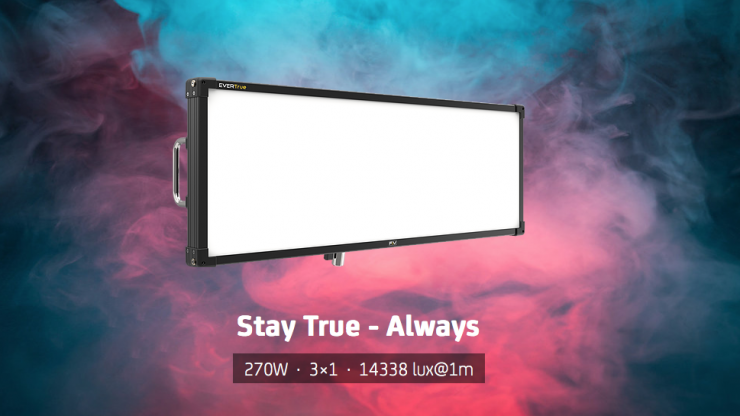 Despite being a large 3×1 fixture with dimensions of 808 mm x 291 mm x 102 mm (31.8 ” x 11.45 ” x 4″) F&V claims that it’s remarkably lightweight and only tips the scales at 4.6 kg (10.1 lbs). While 4.6 kg might sound like a lot, it’s more than half the weight of fixtures such as the Litepanels Gemini (10.1 kg), KinoFlo Celeb 450 (12 kg), and the ARRI SkyPanel S120-C (13.7 kg). It is heavier than the KinoFlo Diva-Lite 31 (13.9 lb / 6.30 kg) if you take into account that the Diva-Lite 31’s weight includes the mounting arm and the control unit/power supply. Now, this 4.6 kg (I actually independently weighed it at 4.4 kg) figure is slightly misleading because it doesn’t include the mounting arm or power supply/control unit. The Central Lollipop Mount weighs in at 990 g (2.18 lb) and the power supply/control unit tips the scales at 3.6 kg (7.93 lb). This means if you attach the power supply/control unit and the Central Lollipop Mount to the fixture it weighs in at 8.99 kg (19.81 lb). 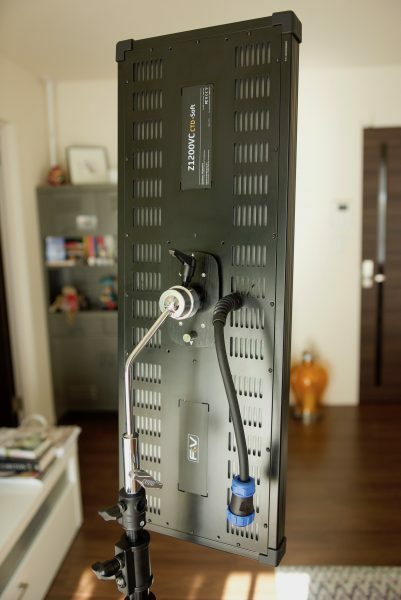 In saying that, because you can remove the power supply/control unit and just attach the Central Lollipop Mount, you can create a much lighter fixture that weighs 5.39 kg (11.88 lb). 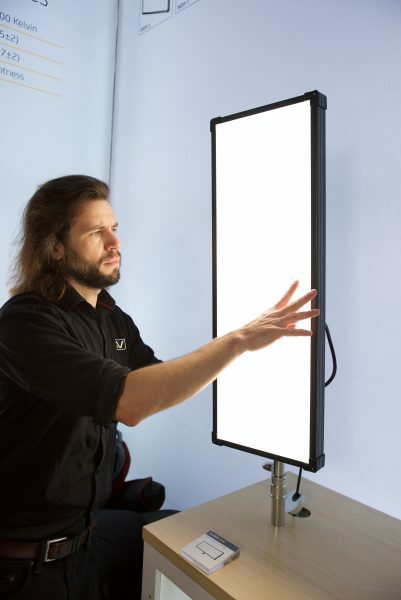 This versatility is nice to have and it gives you flexibility as to how you want to use the light. This lack of weight compared to the competition makes it a lot easier to place out on c-stand arms and allows you to use smaller sized light stands. The EverTrue Vari-Color 3×1 is also very thin. 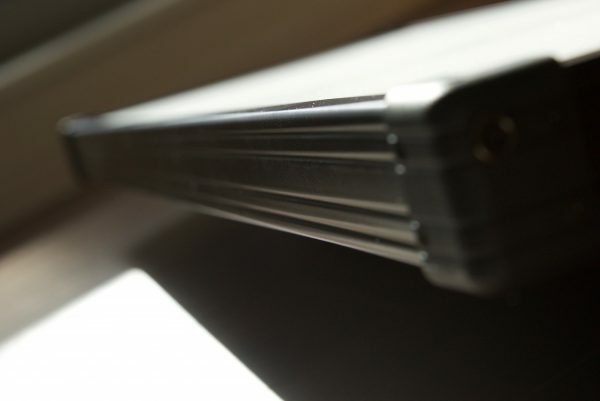 At just 43 mm (with the power supply removed) it’s considerably thinner than the ARRI, Litepanels, and KinoFlo. This allows you to back the light into tight spaces and place it in positions where thicker lights can’t go. You do need to remember that if you use the light with the Central Lollipop Mount, that 43 mm depth gets negated fairly quickly. 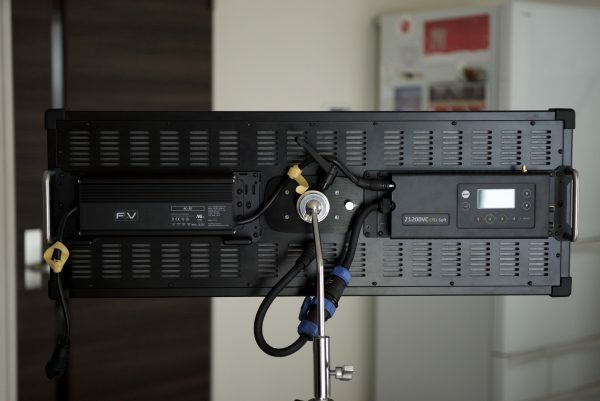 There is nothing wrong with the build quality of the EverTrue Vari-Color 3×1, but you shouldn’t expect it to be as well made as an ARRI, KinoFlo, or Litepanels fixture. So have F&V had to make a compromise with build quality to keep the weight down to 4.4 kg? In all honesty, probably, but in saying that, the fixture is still solidly constructed. It’s certainly not in the same league as the Litepanels Gemini that I have when it comes to build quality, but it also doesn’t weigh 10.1 kg either. The power supply/control unit is also solidly made (it almost weighs as much as the fixture). The physical switches and buttons are nice and tactile. Locking power connections are a nice feature as well. The EverTrue Vari-Color 3×1 draws 245W Nominal, 270 W Maximum, so it can be run off a couple of camera batteries if need be. You will need to use a couple of higher capacity batteries to do this, which does always make it trickier if you are travelling with the light. 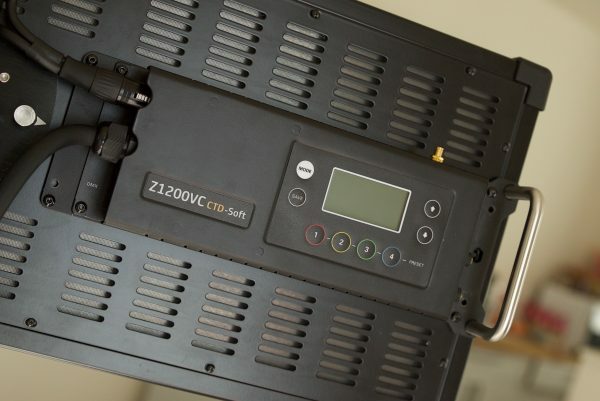 The power input is 24 – 36 V DC and the input current range is Max 11.25 A @ 24V / 7.5 A @ 36V. 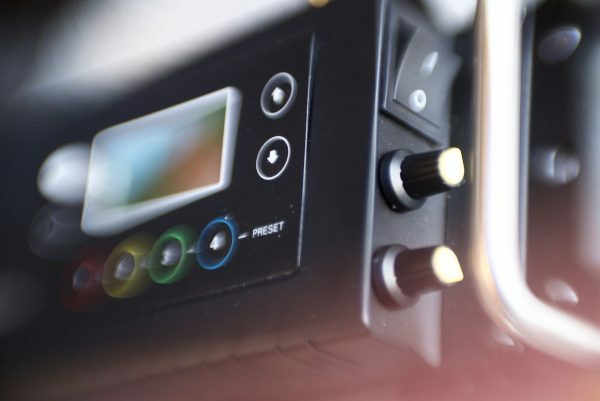 The only downside to the way the light has been designed is that even if you want to run it off batteries you still need to use the battery plate in conjunction with the control unit. The light uses a sophisticated passive cooling system that allows the fixture to run completely silent. 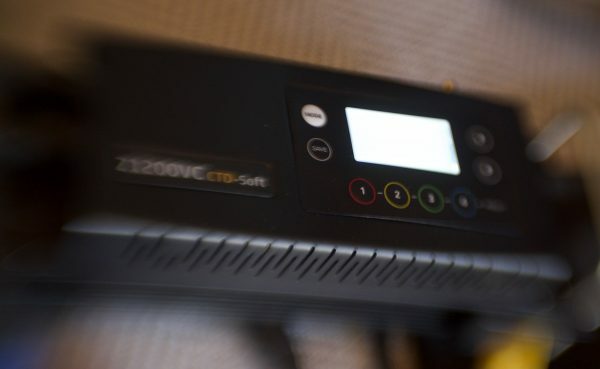 I found that when I previously reviewed the companies Z800S Soft 2×1 LED fixture that it got very hot when left on for long periods of time. The heat it was generating was far greater than any other LED light I had ever tested. This heat was obviously a problem because, after less than a year, a problem occurred where the light would no longer work at Kelvin color temperatures above 4000K. So does the EverTrue Vari-Color 3×1 generate a lot of heat? In short, no it doesn’t. Neither the fixture or the power supply/dimmer unit got hot at any stage, no matter how long I kept the light on for. Even if you attach the power supply/control unit to the fixture, F&V have designed the light so it doesn’t cover any of the cooling vents. F&V claims that the estimated LED lifetime of the fixture is 50,000 hours (15 years of average use). I like that F&V has made the EverTrue Vari-Color 3×1 straightforward and easy to control. Sometimes the simple things are the best, and that certainly applies to the way the controls have been laid out. Despite the LCD screen characters looking more like something from a 1980s Nintendo Game Boy, they do a good job at showing you exactly what you need to know. On the unit I was testing the characters being displayed weren’t even straight. This may be purely a cosmetic thing, but it does point out a lack of attention to detail. 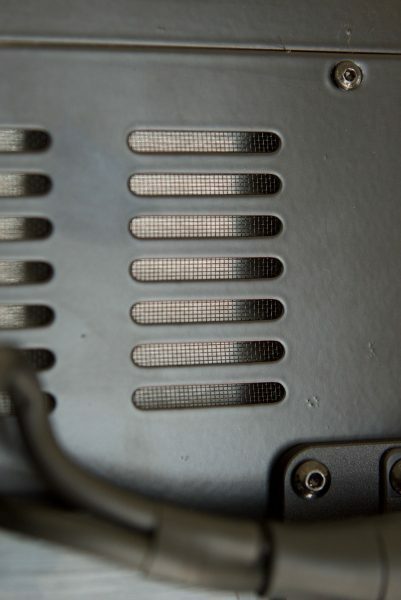 The buttons on the control unit/power supply are very simplistic, but that’s actually a good thing. I didn’t even need to refer to an instruction manual to work out how to use the light. 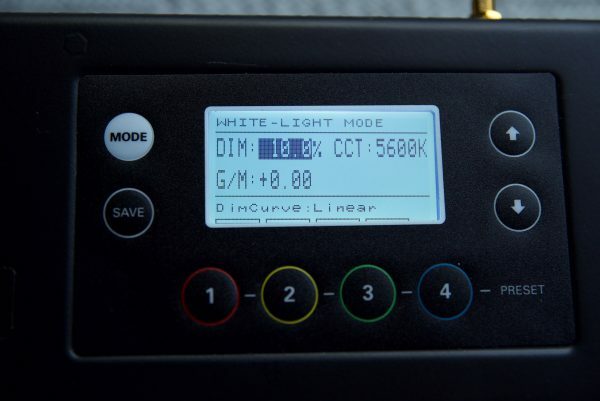 Too often manufacturers make RGBW lights with very complicated and counter-intuitive menu systems where making a change is not something that is straightforward to do. There is a Mode button, a Save button, an Up and a Down arrow, four Preset buttons, and a Quick Adjustment and Micro Fine Adjustment dials. All the different modes are fairly easy to operate, but every lighting company should look at how Luxli do it. They have by far the easiest to use controls of any RGBW light I have seen. The fixture has built-in WiFi and DMX capabilities. F&V are working on a new router that will make it compatible with Luminair 3 software controller for the iPad. 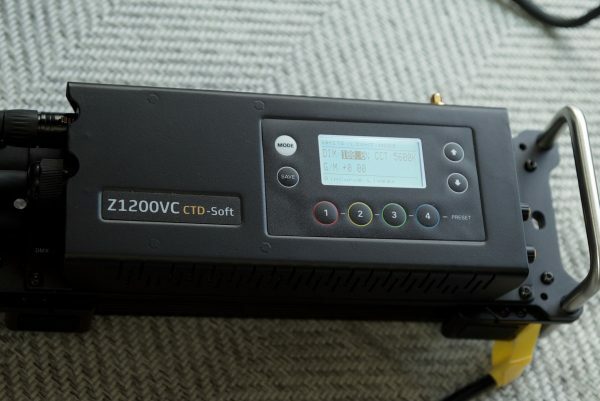 The Z1200VC CTD-Soft has the WiFi receiver and antenna built-in already so only the router and APP will be needed to control the light properties and effects. Finally, someone other than ARRI or KinoFlo has chosen to use a quick release center mount. F&V call theirs a Central Lollipop Mount, and it works really well. 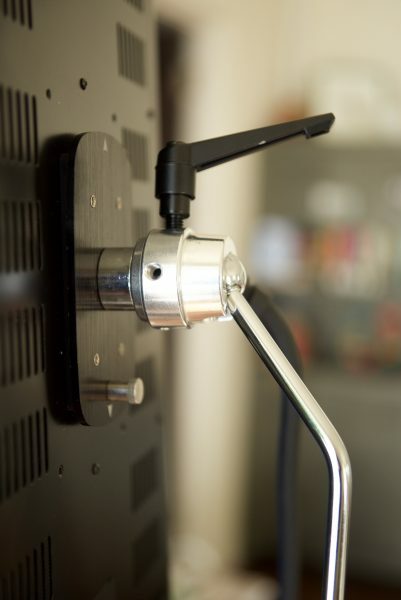 A center mount arm is so much more versatile than any other mounting option. It allows you to quickly and easily orientate a fixture in any direction or position. This type of mount is especially useful of long fixtures where you want to be able to position your light either vertically or horizontally. I’m very happy that F&V decided to use a center mount on the EverTrue Vari-Color 3×1. 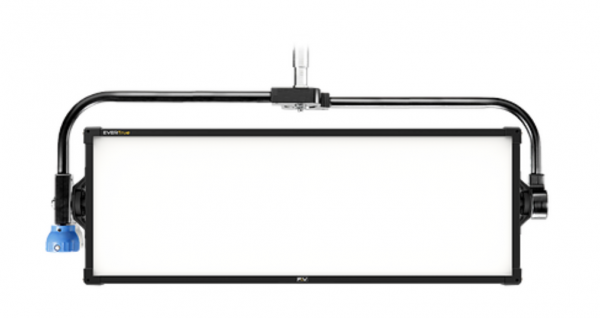 There is also an optional Pole Operation Yoke available if you wanted to use the light in a studio environment. If you want someone to hold onto the light there are two handles you can attach to make this possible. The EverTrue Vari-Color 3×1 has a built-in digital filter library of more than 300 popular color and correction filters. Built-in filters are becoming more and more common in RGBW capable lights and it’s nice to see F&V incorporate them into the fixture. 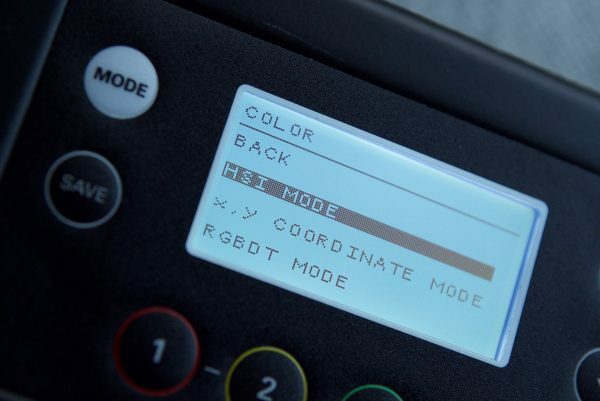 In HSI Mode, any color can be selected by controlling the lights Hue, Saturation and Intensity. 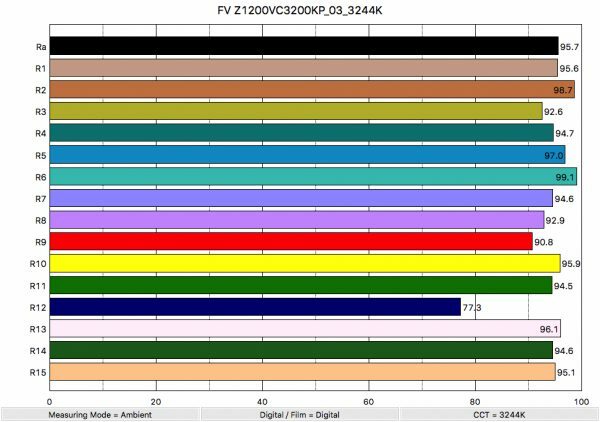 Additionally the Z1200VC CTD-Soft offer color control by x,y coordinates to enable the user to quickly recreate colors measured with a spectrometer. The RGBWW Mode offers full control on a LED level. F&V fixtures use what the company refers to as Vari-Color. 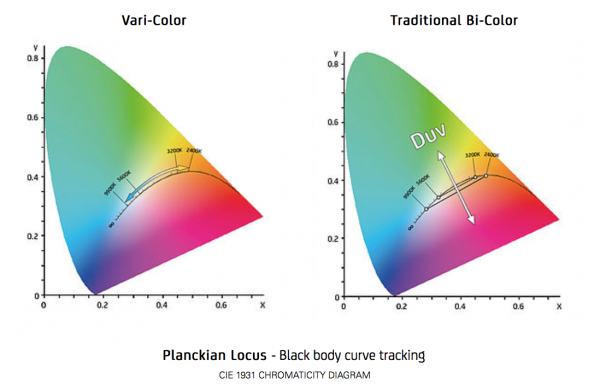 What this means is that the light offers a true fit to the Planckian Locus (aka Black Body Curve) so it can produce a true tintless white light at all correlated color temperatures throughout the adjustment range. In theory, this means that you shouldn’t get any magenta or green tint when you adjust the Kelvin color temperature. 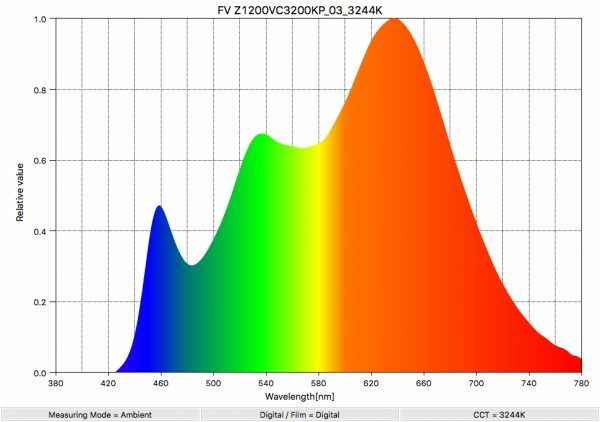 In White-Light Mode the Z1200VC CTD-Soft offers a Kelvin color temperature from 2800K to 6500K. 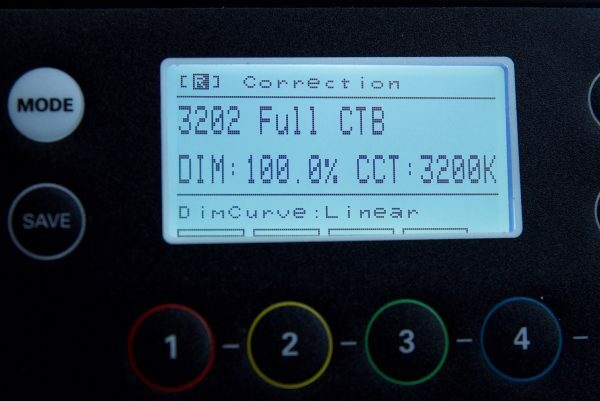 For more extreme color temperatures the extended Kelvin Mode offers an even wider CCT range from 2400 to 9900 Kelvin. Having a broad Kelvin color temperature range to choose from is a nice feature and something that we have become accustomed to from RGBW lights. ‘UltraColor’ color reproduction is the basis of F&V’s new EverTrue fixtures. The company claims that this provides a well balanced, full-spectrum light with great color accuracy, and a TLCI up to 99. F&V also claims that each individual fixture is calibrated to ensure consistency so there is virtually no tolerance from fixture to fixture. In a nice touch, EverTrue fixtures can be recalibrated by the user from time to time so that the light remains accurate even after years of use. To me, this is one of the best features any light can have. Being able to adjust the tint of your fixture allows you to more easily match lights from other manufacturers that you may be using. It seems that just about everyone is now incorporating special effects into RGBW lights. With a range of pre-programmed customer adjustable lighting effects, you can create interesting lighting setups on the EverTrue Vari-Color 3×1. Effects are not something I personally use that often, but they may come in handy for certain applications. With two dedicated knobs brightness can be controlled continuously from 0-100%, there is one knob for quick adjustments and the other for micro-fine adjustments. I like that F&V have done this because it allows you to make a broad adjustment and then fine-tune the output. 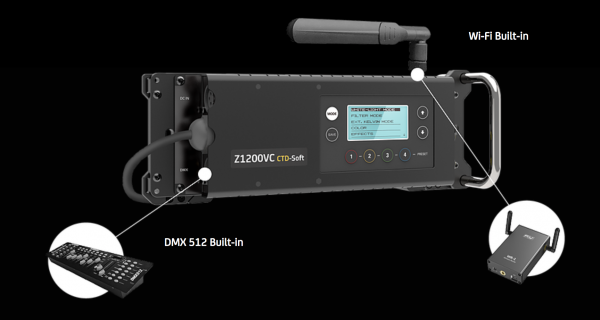 The Z1200VC CTD-Soft offers 4 different user-selectable dimming curves that are useful for specific situations. A big factor for a lot of people when buying a light is how much output it can produce. I tested the lights output at a variety of Kelvin color temperatures both running on mains and battery power using a Sekonic C-700 at a distance of 1m (3.28ft) in a controlled environment; you can see the results below. Output at 3200K using mains power. At 3200K the EverTrue Vari-Color 3×1 recorded an output of 5880 lux (546 fc) at a distance of 1 meter. This was a reasonably good output, but not overly impressive given the size of the light. 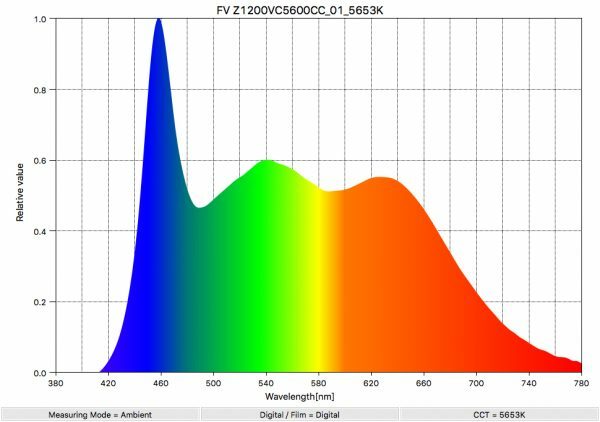 The output of 5880 lux exceeded the 5200 lux that F&V officially lists for the EverTrue Vari-Color 3×1l when used at 3200K. Output at 5600K using mains power. At 5600K it recorded an output of 6310 lux (586 fc), which was a 7.3% increase over what the light outputs when used at 3200K. 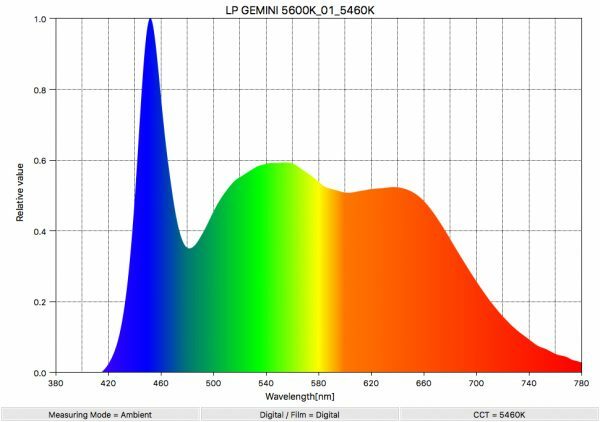 It’s very common for any LED light to have a greater output at 5600K than at 3200K as it takes less energy to generate an LED that is in the blue part of the spectrum. The figure of 6310 lux was again reasonably good, but not overly impressive given the size of the light. Output at 3200K using battery power. As the EverTrue Vari-Color 3×1 can be run off camera batteries via an optional battery plate I wanted to see if there was any difference in the output compared to when it was run off mains power. From my testing, I found that there was a 12.95% decrease in the lights output. Output at 5600K using battery power. When running off batteries at 5600K the light had 10.3% less output than when using mains power. This is a fairly minimal decrease. 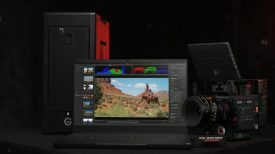 So how does the output at 3200k and 5600K compare to other competition? Well, below you can see. 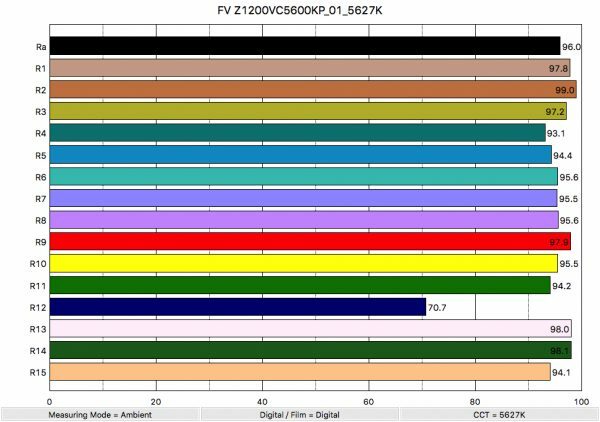 As you can see the output of the F&V EverTrue Vari-Color 3×1 is considerably lower than both the Litepanels Gemini and ARRI SkyPanel S60-C, but higher than that of the KinoFlo Celeb 450 and Diva-Lite 31. I used the measurements from the ARRI SkyPanel S60-C as they are the same as the output from the S120-C version. 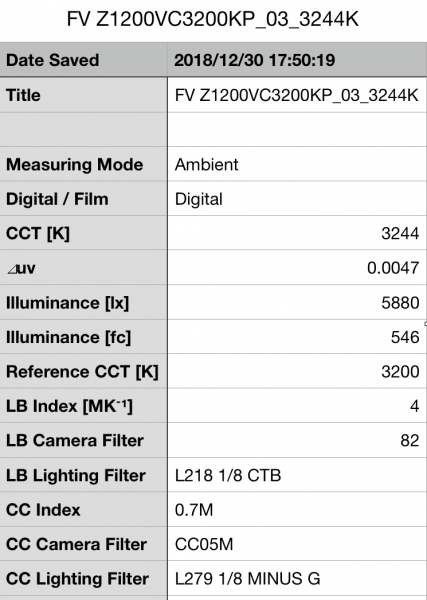 *The figures listed are from KinoFlo and I can’t independently verify them as I haven’t tested that light. It’s important to note that while the ARRI and Litepanels have a far higher output they also draw 430W and 350W respectively. This is much higher than the 270 W draw of the F&V. F&V do have an optional intensifier that can be used with the EverTrue Vari-Color 3×1 that narrows the beam angle down to 45° and increases the output. The intensifier is a softbox, and it works in the same way as F&V’s other lights like the Z400S Soft or Z800S Soft. The intensifier wasn’t available at the time of this review, but F&V claims that with the intensifier being used the lights output at 5600K at a distance of 1 m is 13,860 lux (1288 fc). 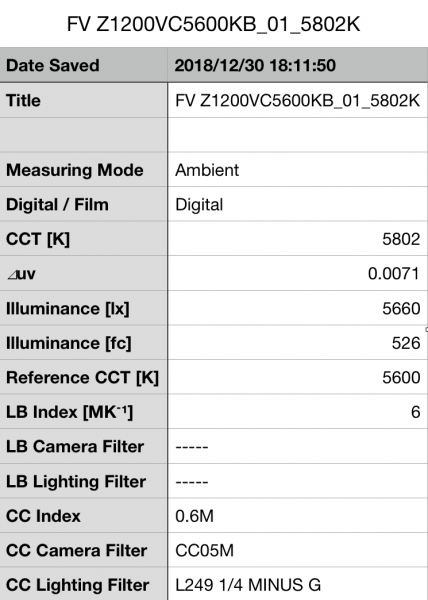 I can’t independently verify these claims, but given the fact that the light outputs 6310 lux at 5600K without the intensifier, those figures sound fairly correct. The light is almost spot on when it comes to accurately replicating Kelvin color temperatures. 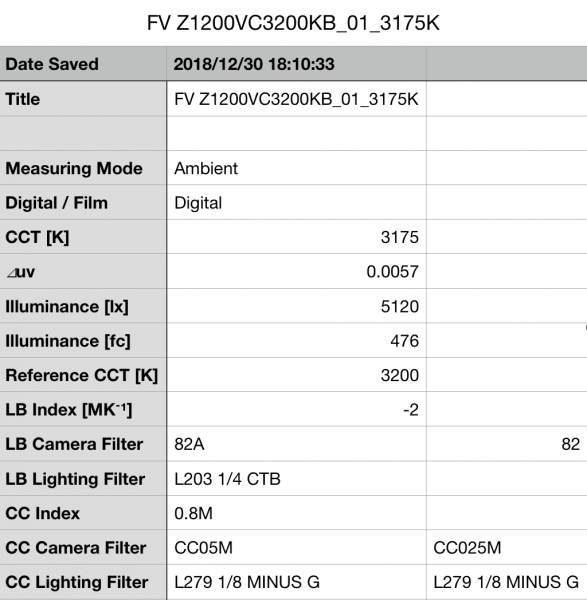 As far as color temperature accuracy is concerned, the F&V EverTrue Vari-Color 3×1, when set at 5600K, gave me a kelvin reading of 5627K and a ⊿uv (the value to show how much this light is away from being an ideal light source) of -0.0056. At 3200K it recorded 3244K and a ⊿uv of -0.0047. These are excellent results and give you peace of mind that when you set the light at a certain color temperature, that’s the color temperature you’re actually going to get. Now, the light does have a tendency to push towards green, so I wanted to try out the Tint Control ± G/M Adjustment to see how well it worked. There isn’t really an exact science to this and you can’t just dial in -0.3G if the reading you get was +0.3M, to get a CC Index of 0, it just doesn’t work that way. It really is a case of just adding and subtracting until you get it right. I found that by dialling in -0.09 when the light was set at 5600K I was able to achieve a perfect CC score of 0. Now, in saying this, getting a perfect score on a Spectrometer is one thing, but that doesn’t necessarily mean the light is going to look better. After testing the output and color temperature accuracy I then wanted to test the EverTrue Vari-Color 3×1 for color accuracy. F&V lights that I have tested in the past have always had a very good color rendering. I wanted to see if the color accuracy been compromised to deliver more output from a larger fixture Below you can see the results for the light at 3200K. At 3200K the light recorded an average CRI (R1-R8) of 95.7 and an extended CRI (R1-R15) of 93.96. As far as replicating accurate skin tones the light recorded 90.8 for R9 (red), 96.1 for R13 (closest to caucasian skin tones), and 95.1 for R15 (closest to Asian skin tones). The score for R12 (blue) was a little lower than I would have expected, but the overall results for proper skin tone reproduction were very good. When I tested the light at 5600K the scores were slightly better than those at 3200K. At 5600K it had an average CRI (R1-R8) of 96.0, and an extended CRI (R1-R15) of 94.44. For replicating accurate skin tones it recorded 97.9 for R9 (red), 98.0 for R13 (closest to caucasian skin tones), and 94.1 for R15 (closest to Asian skin tones). These were excellent results, but again, the light seems to have a slight problem with R12 (blue), scoring just 70.7. In saying that, I tested the light by shooting a color checker chart and didn’t find that this lower score for R12 made any noticeable real world difference at all. 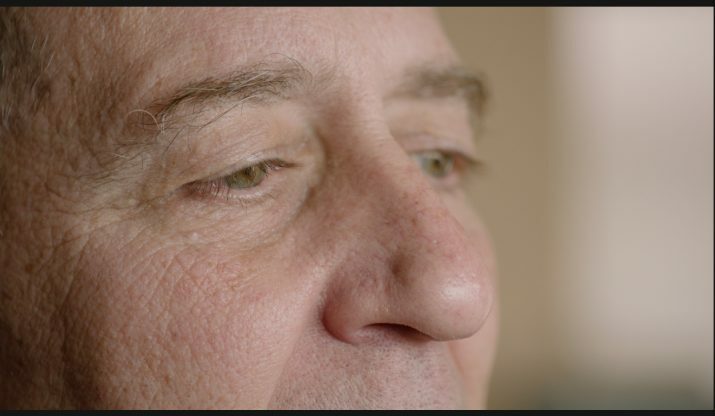 Below you can see a head to head comparison of color accuracy between the F&V EverTrue Vari-Color 3×1, ARRI SkyPanel S60-C, and Litepanels Gemini. I couldn’t comapre the light to any of the KinoFlo fixtures as I haven’t independentally measured them. 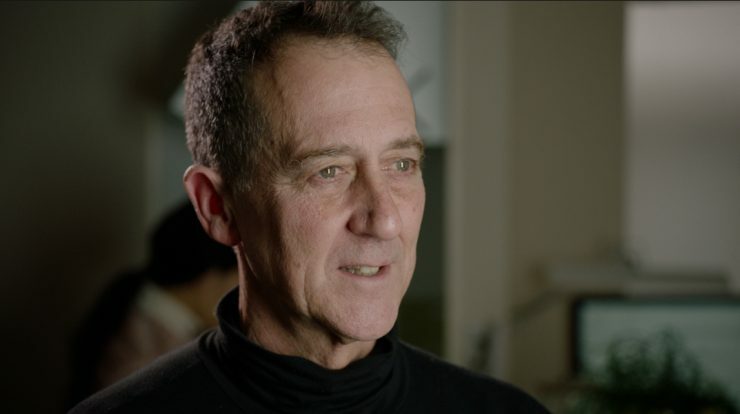 If you look at the data from the head-to-head comparisons, the F&V performs extremely well at 5600K when it comes to reproducing accurate skin tones, and its extended CRI is higher than both the ARRI and Litepanels. Any numbers over 90+ are truly excellent and you would be hard-pressed to tell the difference between any light that has average scores in the 90s. At 3200K the F&V is very comparable to the other lights in this group, and it’s good to see that the lights scores at both 3200K and 5600K are very close. This tells me that the lights overall color rendering performance remains very consistent no matter what Kelvin color temperature you are using. Above you can see the F&V EverTrue Vari-Color 3×1’s spectral distribution when used at 3200K. While the light does have a nice full spectrum it certainly has a slight push towards green. 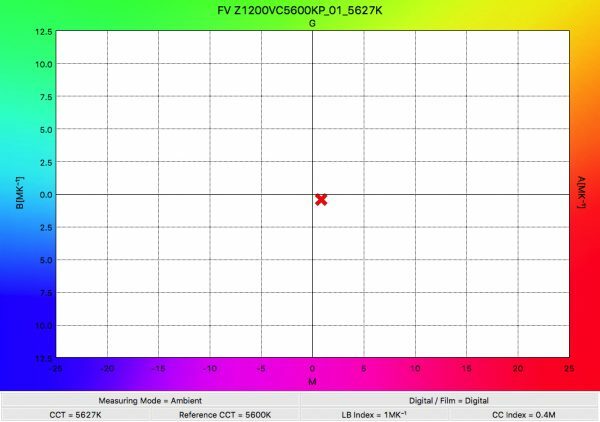 Above you can see the F&V EverTrue Vari-Color 3×1’s spectral distribution when used at 5600K. 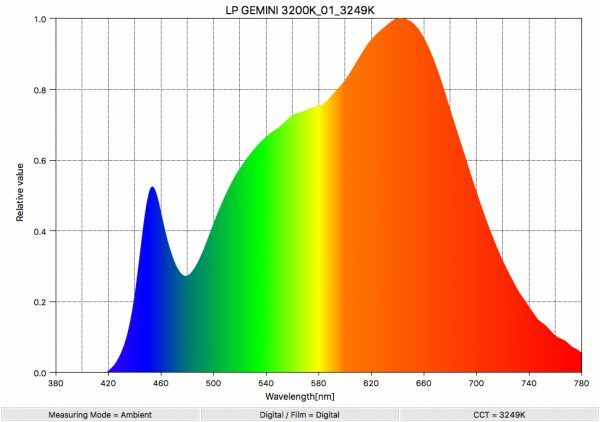 Just like when used at 3200K it has a nice full spectrum, but it still has a slight push towards green. The great thing about having a light with a Tint Control ± G/M Adjustment is that you can get rid of green or magenta spikes. Above you can see the spectral distribution when I added -0.09 to the light when it was being used at 5600K. As you can see it reduced the green spike slightly. Just as a comparison lets look at the Litepanels Gemini. Above you can see its spectral distribution when used at 3200K. Its color spectrum is fuller and much more linear than that of the F&V. 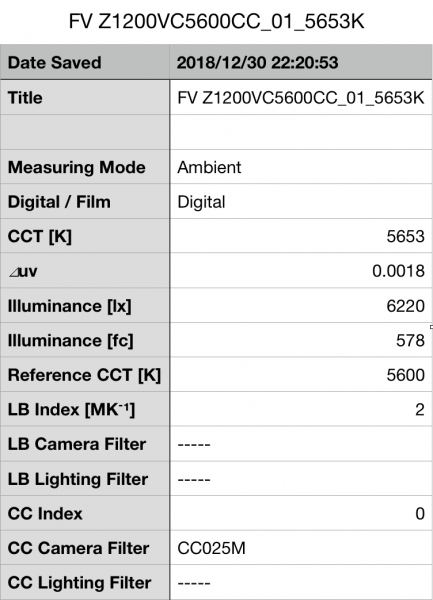 Above is the Litepanels spectral distribution when used at 5600K. As you can see the Litepanles doesn’t have as fuller spectrum as the F&V. As I always say, photometric scores only tell you part of the story. Just because a light scores well doesn’t necessarily mean the light will look good. 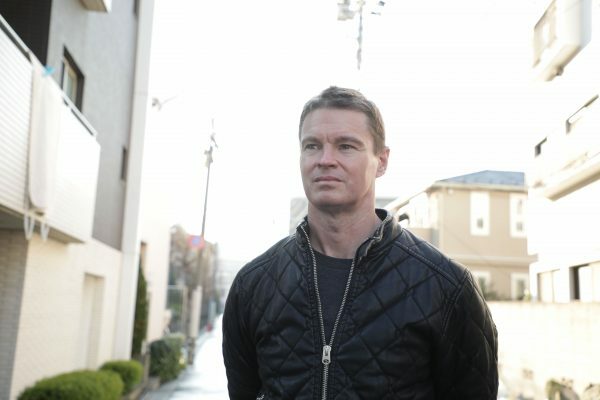 So do the scores from the EverTrue Vari-Color 3×1translate into real-world performance? 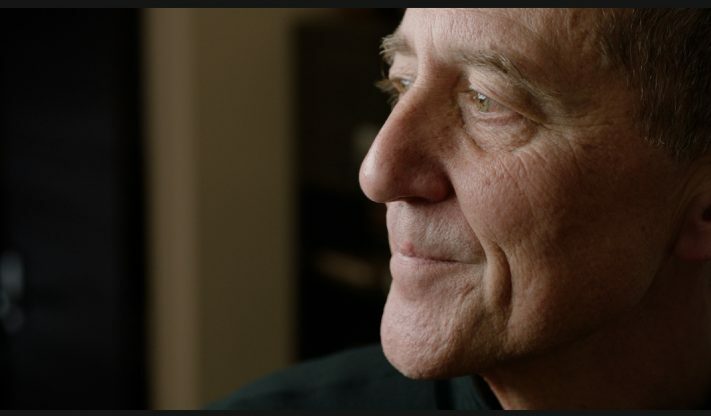 In the example footage that is above, I just wanted to primarily see how the fixture looked when it came to skin tones and how soft the light being produced was. 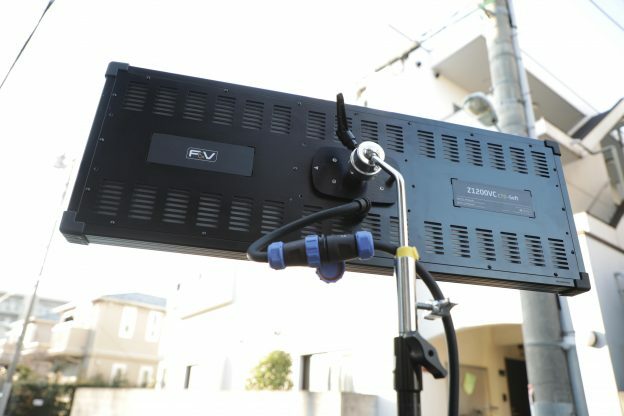 The EverTrue Vari-Color 3×1 was used as the key light with the F&V S4000 1×1 being used as the backlight. The EverTrue Vari-Color 3×1 certainly does render skin tones really nicely and it produces a lovely, soft wrapping light source that is very flattering. This soft, wrapping light is generally something that is only achievable from larger sized fixtures. I liked the catch light that you get when using the F&V, but it may not be to everyone’s liking. You will get what is commonly referred to as “cats eyes” when using this fixture. If you orientate the light into a vertical position you will get an altogether different effect. The F&V does lean a little towards the magenta side, but this actually helps it produce really nice skin tones. The light is also great for lighting up whole rooms (I’m talking about an average sized family/dining room in someone’s house) as it produces a really nice wide beam spread. 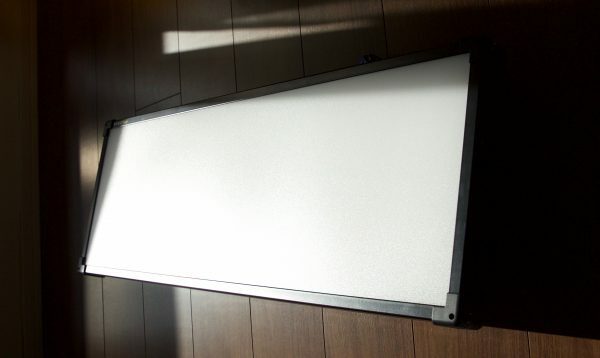 Because the light already has a built-in diffusion panel, this light is also very soft. This nice wide beam spread also makes it very suitable for lighting multiple subjects at once, as well as for product shots. As the light can also be run off a couple of camera batteries I wanted to see how suitable it was for use outdoors. If you working in news or any sort of EFP environment there is always going to be times where you will need to shoot your talent outdoors in a situation that will require a light. I found that although the F&V EverTrue Vari-Color 3×1 doesn’t have a massively bright output, it still has enough grunt to be used outdoors in certain situations. While it can be used outdoors, it certainly isn’t an HMI replacement and you aren’t going to be able to match really bright backgrounds. 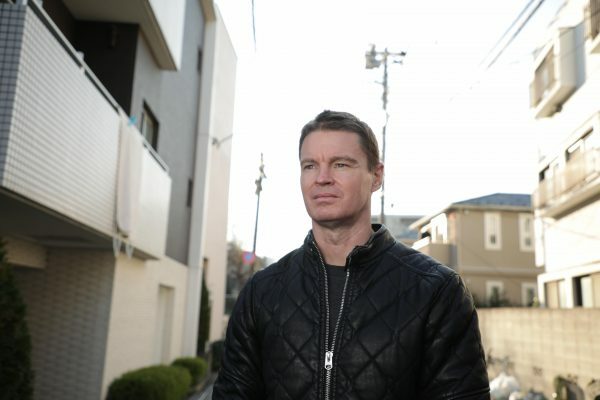 In saying that, if you are shooting into a background that is a few stops brighter than where your talent is standing, it will do a decent job. Above you can see an example of where I was standing in deep shade with a bright background firstly with no light being used, and secondly with the F&V at 100%. As the light has built-in diffusion it is really easy to look at and your talent isn’t going to squint. The light also looks very natural and not overly artificial. The F&V EverTrue Vari-Color 3×1 LED Panel produces a lovely quality of light and I love that I can run a light of this size off a couple of camera batteries. As I have mentioned in other lighting reviews, the numbers only tell part of the story. You can have the most color accurate light in the world, but if it is difficult to use and operate then you are going to leave it at home. Thankfully, the EverTrue Vari-Color 3×1 is very straightforward and easy to use. I don’t like lights that take too long to set up. I prefer lights that you can take out of a case, throw a battery on the back and turn on. If you are a solo operator, time is always crucial. There is nothing worse than taking 5-10 minutes to set up a light before you can turn it on. While the F&V isn’t exactly a light that you can get just take out of a box and turn on, it’s still fairly quick to set up and use. I’m not normally a fan of lights that consist of multiple components, but I actually don’t mind that the EverTrue Vari-Color 3×1 has been designed this way. For me personally, I don’t see any point of attaching the power supply/control unit to the fixture. I much prefer to just keep it on the floor and run the cable up to the light. I found the whole process of separating the power supply and control unit and then attaching them to the light time consuming and counter-intuitive. 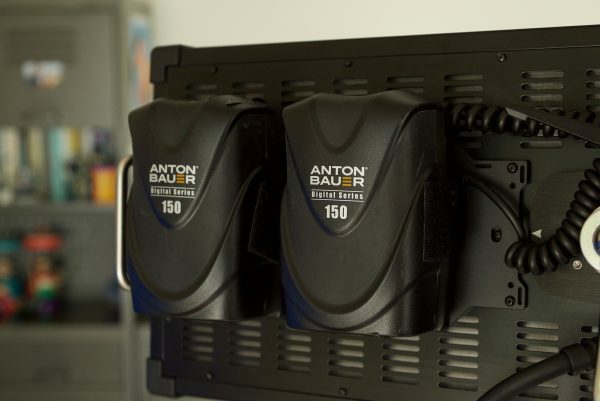 By keeping the power supply/control unit separated from the fixture you can also use the light on a much more compact and lightweight light stand which is a big plus. If you are going to keep the light in a case then it also makes little to no sense to have the power supply/control unit on the light. I like that the power draw isn’t excessive for a large fixture and that you can still run it off a couple of 150Wh batteries in the field if need be. This is something that isn’t as easy to do with some of its competition. F&V has obviously thought about this and decided to limit the amount of power required to run the fixture, by sacrificing the output. You can’t always have your cake and eat it too. Despite not having nearly as much output as some of its competition, I’m ok with it, because it means I can run the fixture off batteries I already own. It’s nice that F&V has given you two dimming controls where one makes bigger adjustments and the other more finite ones. If you are adjusting Kelvin color temperature, for example, the bigger adjustment makes 100K increases or decreases, while the finite adjustment does 1K steps. 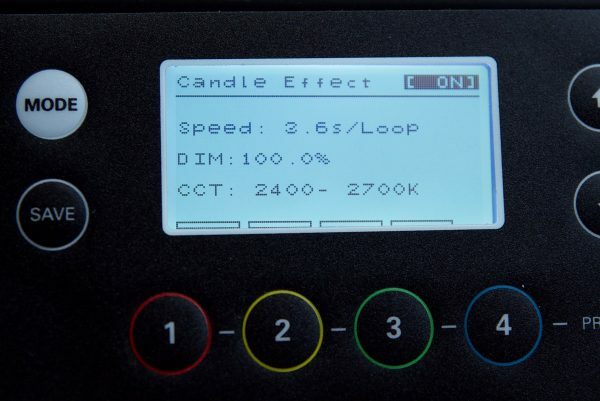 If you use those same controls for the output you can adjust the light in 5% increments or 0.1% increments. I love the Central Lollipop Mount because it gives you the versatility to quickly position the light in any orientation you like. Having a mount like this greatly increases the lights versatility. Whether a 3×1 light can be considered a viable option for a travelling shooter is debatable. I own a Litepanels Gemini, and while I love the light, it’s just too big and hard to travel with. Could I see myself travelling with the EverTrue Vari-Color 3×1? For certain jobs, yes, I could. The fact that I can run it off camera batteries I already own means it is certainly suitable for travel. While I would never travel with the Gemini, I would on occasion travel with the F&V. The optional hard flight case that is available is a must if you plan on travelling with the light. It’s nicely made and securely stores all of the various components and cables, as well as the light. In a nice touch, there are wheels on the bottom of the case which make it easier to use. The only negative is that the case is quite large and weighs 21.7 kg (47.84 lb) with the light and all the components inside. Some shooters may find that not to be a problem, but again it really depends on what you’re used to travelling with and how much kit you normally take. 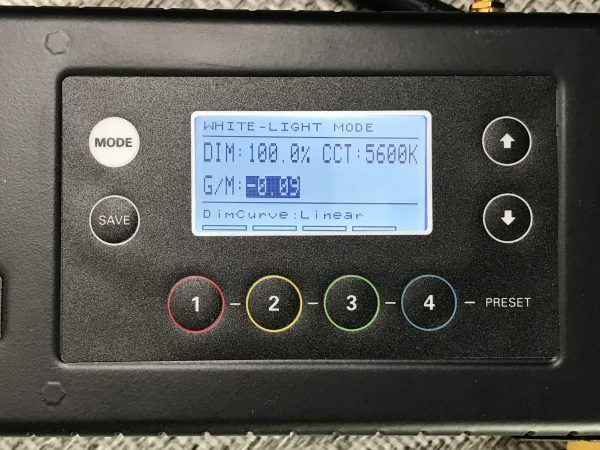 While the larger 3×1 or similar sized RGB light market is pretty much dominated by companies such as ARRI, KinoFlo, and Litepanels, there really aren’t many affordable, travel-friendly options available. The EverTrue Vari-Color 3×1 fills this void. I wouldn’t say it really has any direct competition based on its price and output, but based on its feature set, the ARRI SkyPanel S120-C, Litepanels Gemini, KinoFlo Celeb 401, KinoFlo Diva-Lite 31, and DMG Lumiere SL1 MIX would be some of the other lights it could be compared to. Just like previous F&V lights, light shaping accessories such as honeycomb grids in different angles, barn doors, a softbox, and the intensifier will become available shortly after the release of the light. The F&V EverTrue Vari-Color 3×1 Light Location Pack costs $1,699 USD. In my opinion, this represents very good value for money for a light of this size and feature set. What you need to take into account is that the Light Location Pack doesn’t come with an AC power supply and you will need to pay an additional $349 USD for that. As a price comparison, the Litepanels Gemini is now available for $3,774.99 USD (it was $4298.75 US). The ARRI SkyPanel S120-C is $6,840 USD. The KinoFlo Celeb 450 retails for $4,995 US, the KinoFlo Diva-Lite 31 is $1,912.50 USD and the DMG Lumiere SL1 MIX retails for $2,790 USD. F&V will also be selling a Light Studio Pack ($1,999 USD). 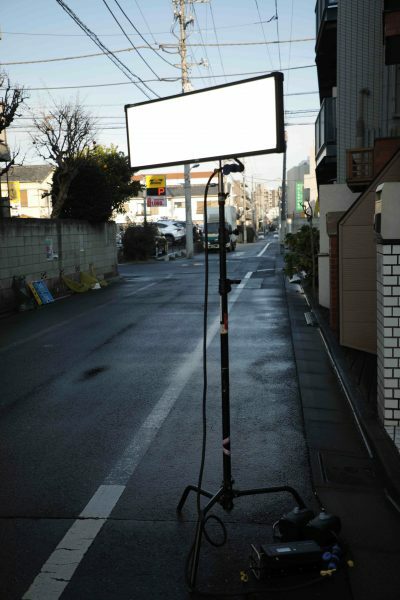 A Light Rental Kit ($2,699 USD) is also available. The F&V will start shipping from the 30th of January. The Rental Kit will be the first package to ship, then the Light Location Pack and Light Studio Pack will follow. 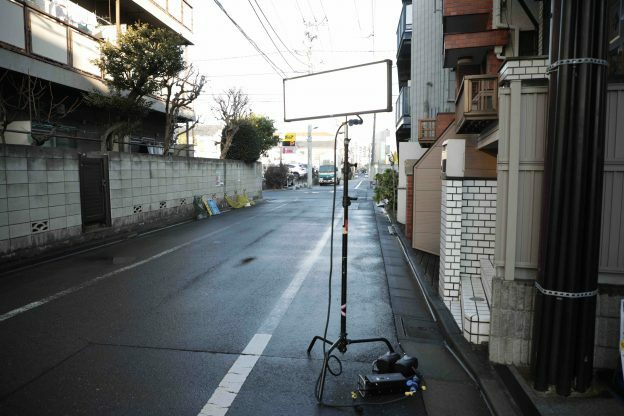 The Light Rental Kit will be available at a special introductory price of $2,299 USD. 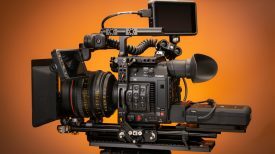 If it was me I would be going with the Light Rental Kit, because it represents the best value for money and you get a hard flight case with it. 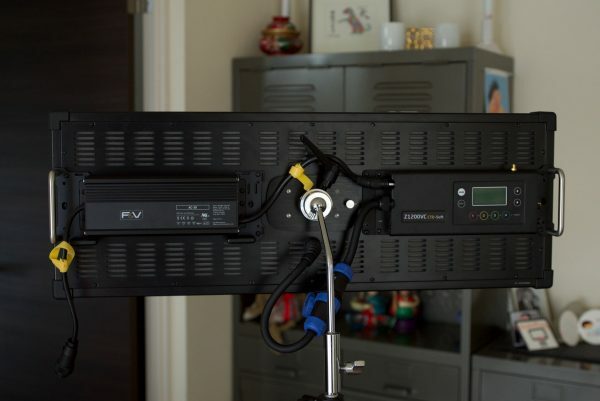 The F&V EverTrue Vari-Color 3×1 certainly does offer a lot of functionality, and it is considerably cheaper than options from ARRI, Litepanel, and KinoFlo. 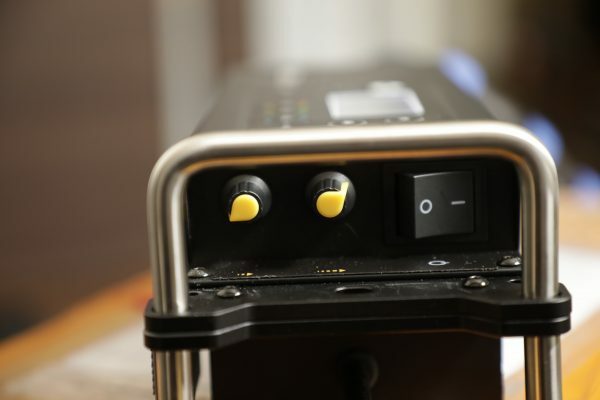 While the build quality isn’t as good and the output not as strong, F&V have still made a good light that strikes a nice compromise between affordability, output, and usability. 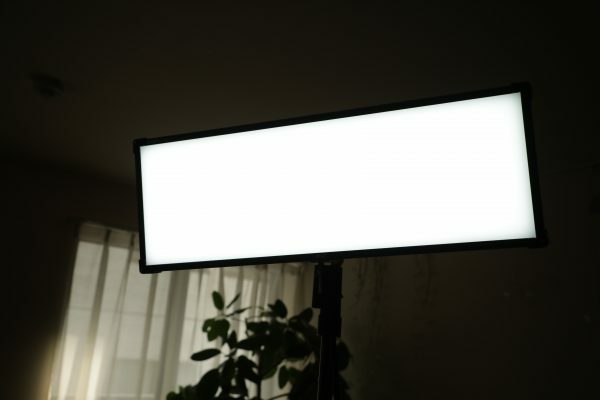 For news and documentary shooters, the ability to run the light off two camera batteries makes it an intriguing light if you are looking for a large, soft lighting source. The light is color accurate and very good at replicating skin tones correctly. It is also excellent at reproducing the correct color temperature across its entire Kelvin color temperature range. The wide 130° beam angle and built-in diffusion panel allow you to create a nice wide soft source that can fill up a room. Despite the competition from more established large, soft RGBW lights on the market, I like what F&V have done with the EverTrue Vari-Color 3×1. 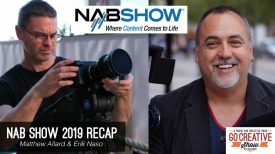 They haven’t tried to directly compete or outdo ARRI, KinoFlo, or Litepanels, instead, they have come up with a light that fills a gap in the market. With good functionality, color accuracy, and a nice quality of light, the EverTrue Vari-Color 3×1 is a light that is worth considering if you are looking for a large, soft lighting solution that can be run off camera batteries that won’t cost you an arm and a leg.